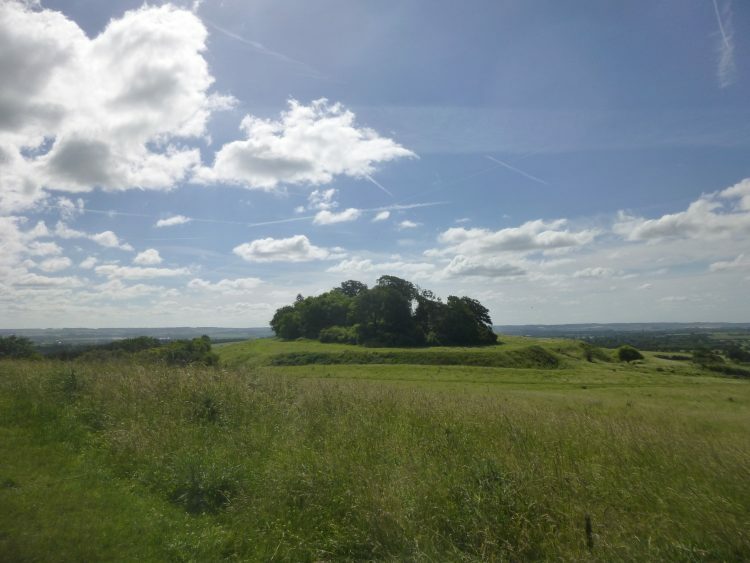 Both the Nash brothers, Paul and John, whose work interests me, painted Wittenham Clumps. It wasn’t that far from where I was staying in Ashampstead. It was also more or less on my way to Ivinghoe Beacon (which Paul also painted in his 1930 work, Wood on the Downs). So last week, on the morning of the Summer Solstice, I stopped there and climbed them. Round Hill is the one on the left, and Castle Hill the one on the right. It was quite a climb up Castle Hill, but worth it for the view. The two Clumps are quite different in formation. 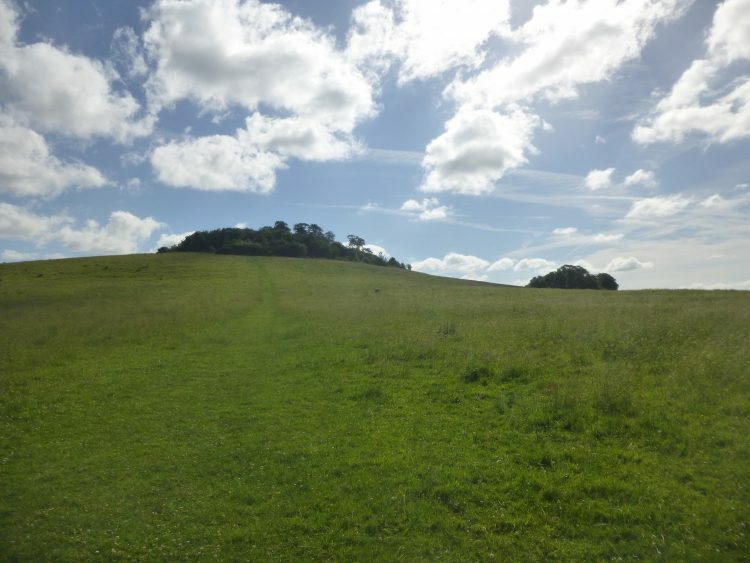 Round Hill is – well, round. But Castle Hill appears to sit on a flat topped platform. This is Castle Hill viewed from a convenient bench on the top of Round Hill. And this is the view the other way around. There were lots of dog walkers around, and also a herd of reddish brown cattle, which I think – from my listening to The Archers! – may have been Herefords. 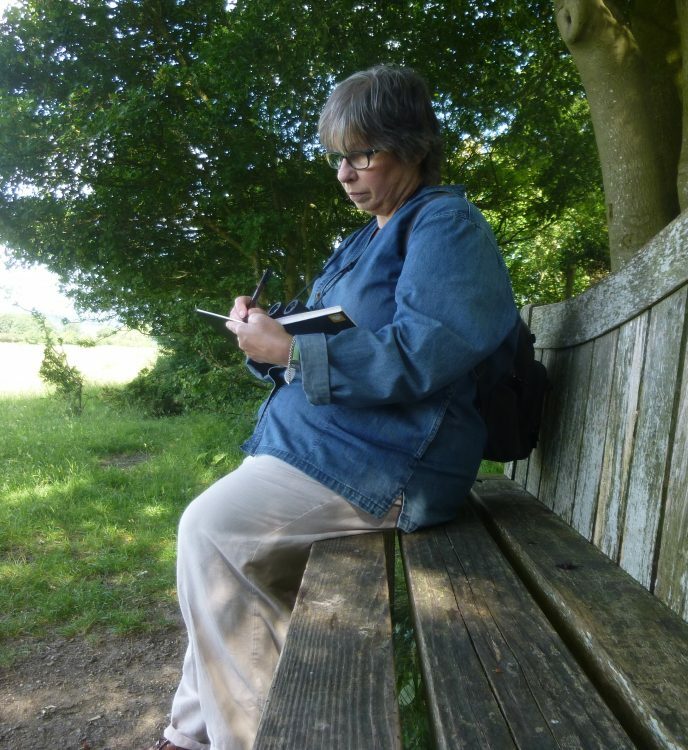 I did some drawing from both Clumps – here I am on Castle Hill. It was a beautiful morning, and a lovely walk, and a great way to start the Summer Solstice. And that really is all I have to say about my walking and working week away. 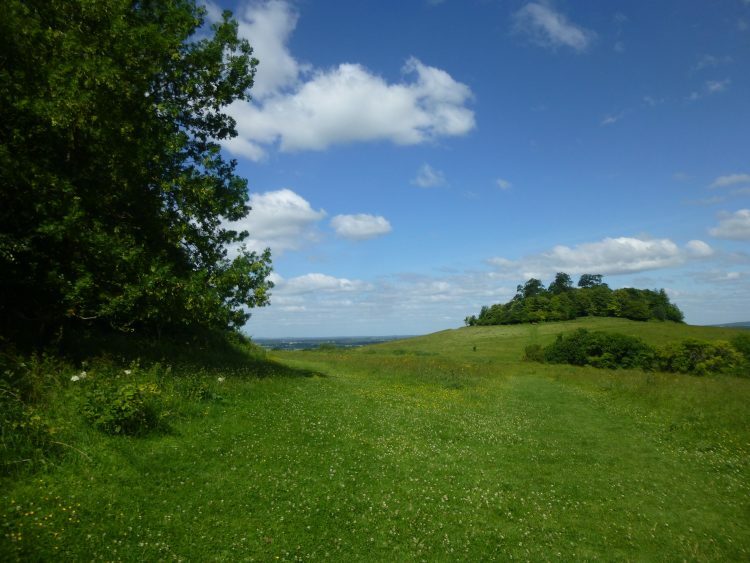 ← Walking the Ridgeway: Year 2 – when I wasn’t walking!